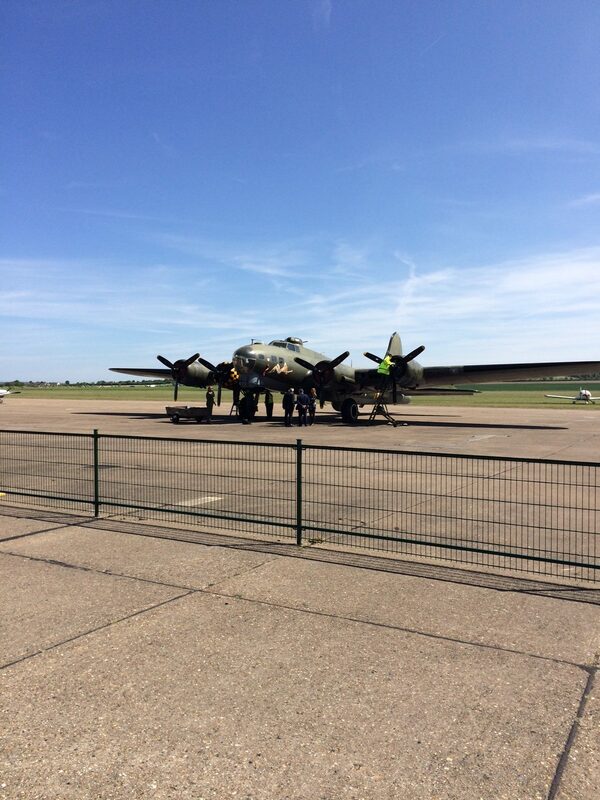 We were blessed with a beautiful, cloudless day for the SEMFED study trip to Imperial War Museum Duxford. 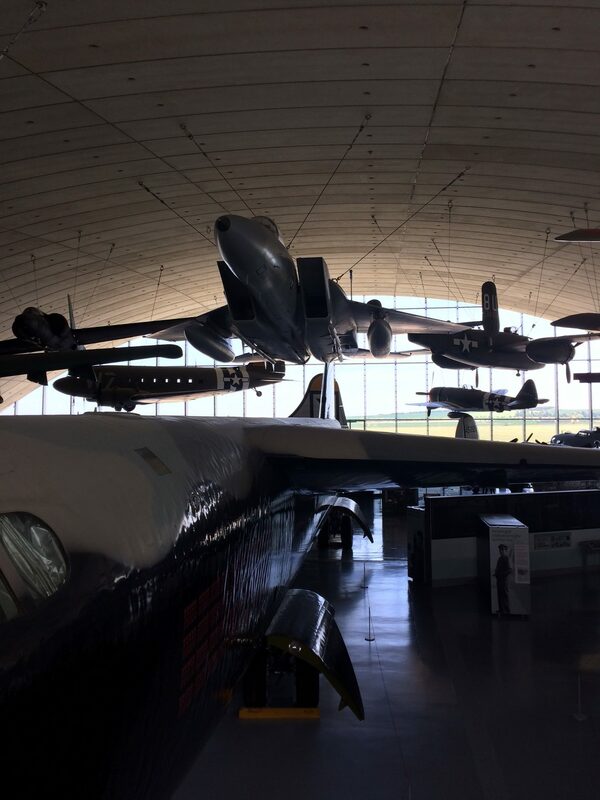 The site and exhibition spaces have developed significantly in the last few years so the aim of the day was to see what the staff at Imperial War Museum had achieved with their redisplay of the American Air Museum and new STEM learning programmes. The day started with a panel discussion led by IWM staff who talked about their more recent projects. 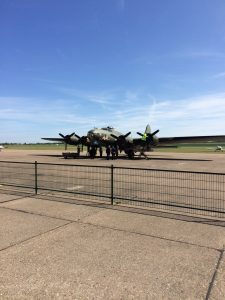 Vicky Williams, the Volunteer Programme Manager, explained the history of the Duxford Airfield site and its development into a museum that reflects the personal wartime experiences of everyone involved in conflict, as opposed to museums that solely focus on the armed services. 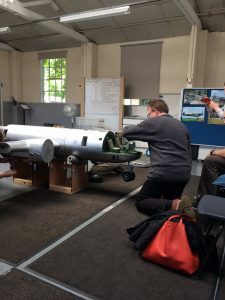 In 2009, the IWM team of volunteers were separated from the Duxford Aviation Society volunteers who are primarily engaged in restoring the aircraft. One of the three hundred IWM Duxford volunteers, Mike, then spoke with great enthusiasm and wit about his involvement in supporting the visitor experience. 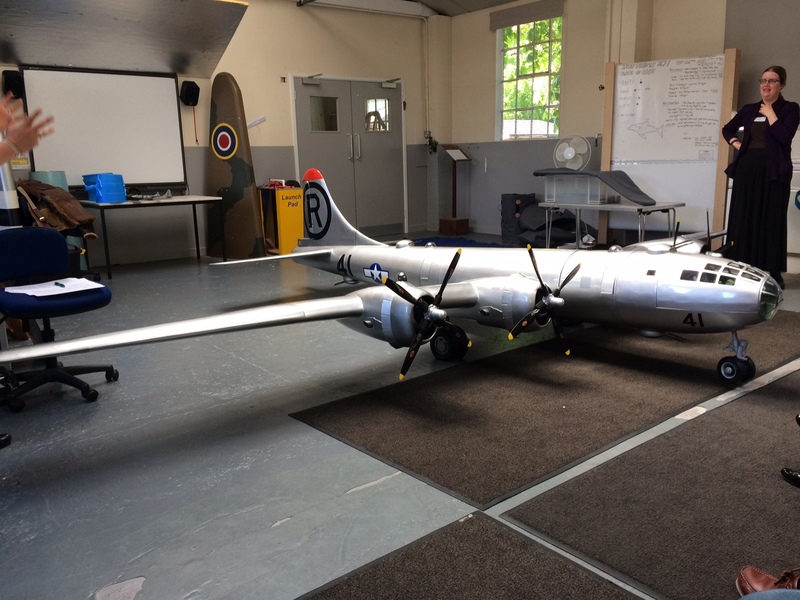 Carl Warner, the Head of Interpretation at Duxford, talked about his work in redisplaying the American Air Museum and restoring the historic context of the airfield with the ‘Historic Duxford’ project. A recent collections audit revealed that only 8% of the Duxford collections have a direct link to Duxford in its role as a working airfield. This is partly as a result of a piecemeal collecting policy where curators were only collecting items belonging to their specialism which led to some collections being much larger than others. In a recent restructure, the curatorial team were divided into staff with knowledge of particular time periods. 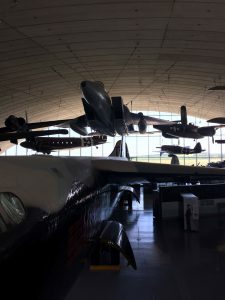 When the American Air Museum first opened in 1997, it was described by one museum critic as ‘an art gallery for aircraft’. Although this is still largely the case today, the team led by Carl has at least tried to highlight the personal stories of the men and women who have worked for the US Air Force since the Second World War. After lunch, SEMFED members had a chance to look around the new American Air displays where the stories of many of the large aircraft are now attached to the fates of the individuals who flew in them. Major themes or periods in post-war history, such as the Second Iraq War or the protests at Greenham Common, are told through a range of perspectives using personal objects and I found this the most engaging aspect of the new exhibition. After a thought-provoking tour around the American Air Museum, the group were set the challenge of constructing a 1/8th model of a B-29 bomber by Duxford’s Senior Programmer, Llewela Selfridge. Llewela really brought the subject to life and it was interesting to learn how large aircraft like the B-29 were put together and the daily challenges that the bomber crews faced. As I drove home through the pretty Cambridgeshire countryside, I was reminded of the majesty of these planes as the blue skies were punctuated by a Messerschmitt fighter roaring overhead. What an inspiring end to a fascinating day! I must also thank all the staff at the IWM for showing us around but special thanks must go to Alison, our secretary, for organising such a great day out.